How to choose a Career ? Theory of Multiple Intelligence & Career Choice . Challenges in Career Selection & Solutions . Hear them out – Role of Parents in setting Career Goals. India’s Top 200 Highest Salary Professions. Careers for Students with Learning Disability (LD). Scholarships by NGOs for Higher Studies. Scholarships by Government of India for Higher Studies. Scholarships by Government of India for Minorities. Scholarships by Government of Karnataka for Minorities. Pure & Allied Sciences Courses. Humanities Courses – Common but Uncommon. All India Entrance Exams for Higher Education after 12th. Jobs in Defense & Government for 12th Pass. Class 11 / Pre-University Courses. Industrial Training Institute (ITI) Courses. 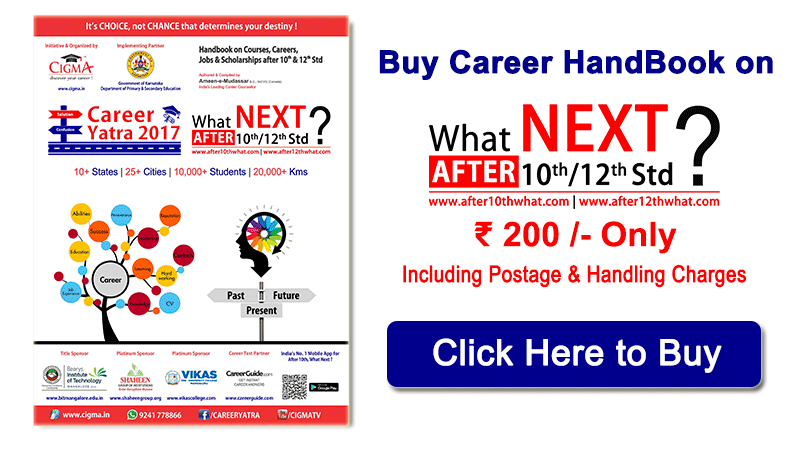 Free Courses by ICICI Academy for Skills for 10th Pass/ Fail.